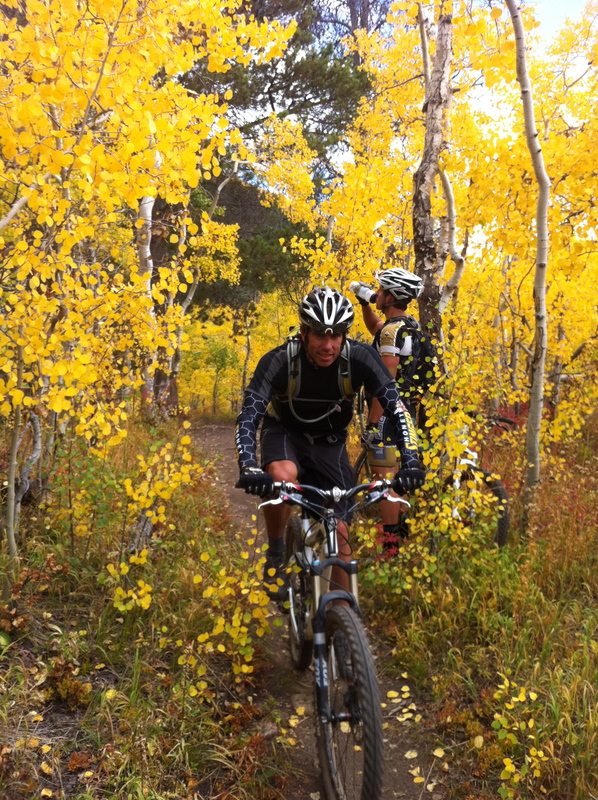 Ian and I got in some terrific riding, running and paddling this weekend in the beautiful fall colors. Enough said. Great pictures, and what a weekend. However, over here in the Indian Peaks I didn’t see as many trees on one mountainside as in the 2nd & 3rd images from the bottom — amazing. Which trail is that? 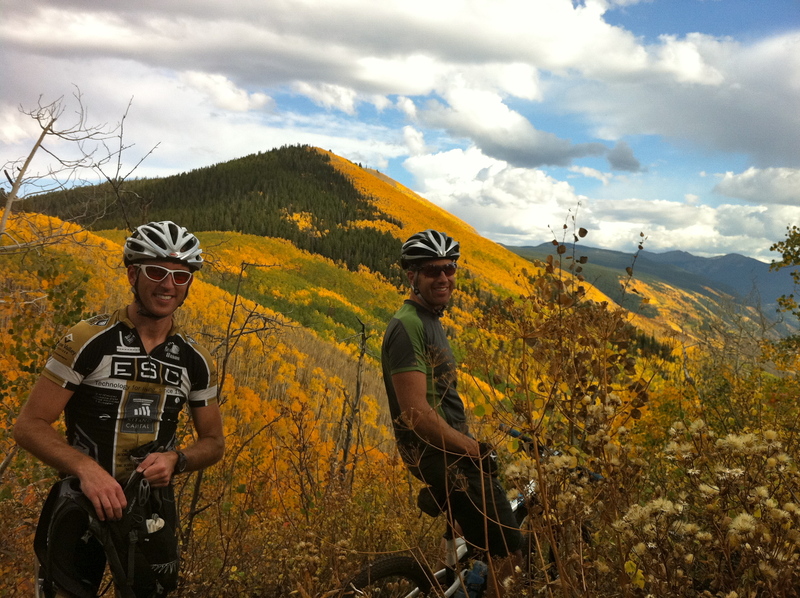 The Sunnyside Trail in Aspen. The boys were pretty psyched. The trail running shots (photos 1 & 2) are from the Government trail from Snowmass to Aspen and the bike shots (3-5) are from the Sunnyside trail above Aspen. Thanks for reading! 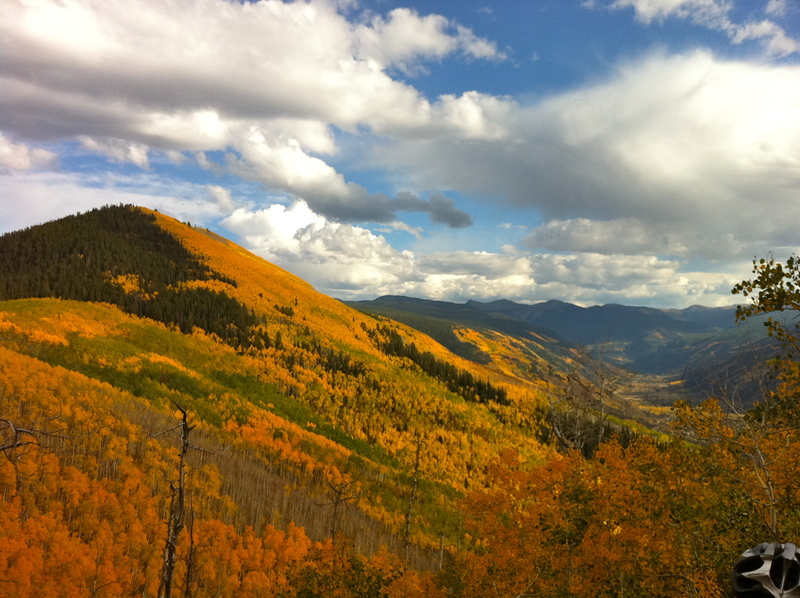 Oh wow, those Aspens are beautiful in the Fall, I should have hung around Colorado for another few weeks to see them! 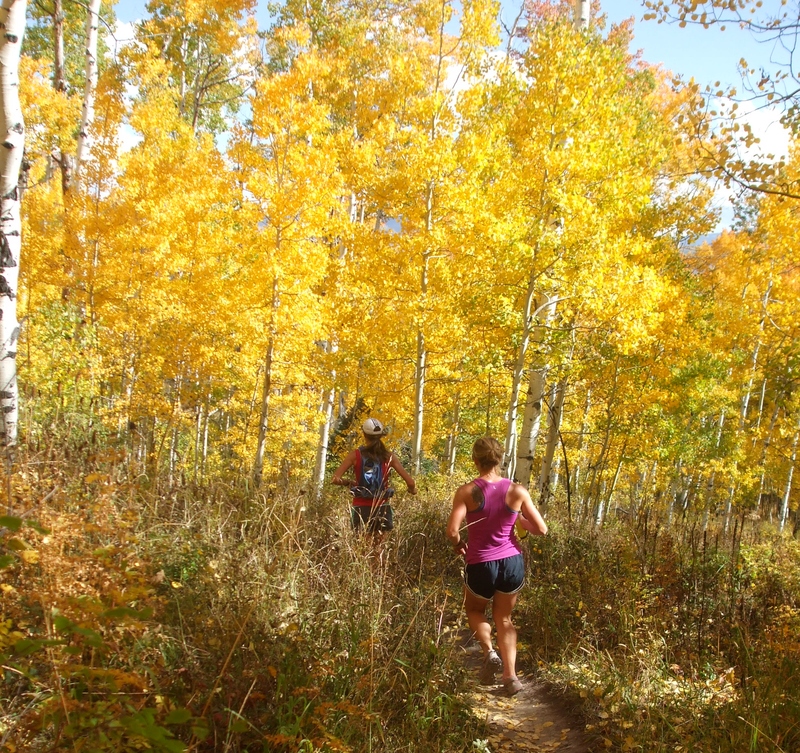 gorgeous photos – enjoy autumn training.